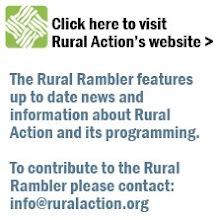 The Rural Rambler: Rural Action Annual November Breakfast - This Friday! Rural Action Annual November Breakfast - This Friday! Muffins and philanthropy once again collide this Friday at Rural Action's biggest fundraiser of the year, the Annual November Breakfast! This year's fundraiser is from 8:00-9:00am on Friday, November 6th and will be held at the Athens Community Center at 701 E. State St. in Athens. As usual, we will try to make it a very punctual event as many folks have to head to work afterwards, though with full stomachs at least. The menu this year is slated to include quiche prepared by Sara DeAloia from the Eclipse Company Town and baked goods courtesy of Matt Rapposelli from Ohio University. Emceed by John Kotowski, the morning's program accompanying the meal will consist of a short speech from Rural Action Director Michelle Decker and live testimonials local residents Wave Snyder, Matt Rapposelli, and Angie Starline. There will also be the premier of a short video by regional filmmaker Sara Peach entitled: Southeast Ohio Stories. 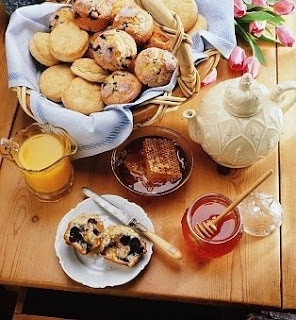 This breakfast is held each year to recognize the members of Rural Action's Multiple Year Giving Society as they renew their pledge of support to Rural Action while providing an opportunity for newcomers to join the Giving Society, which helps make Rural Action's funding, and future, more sustainable. Anyone interested in attending the breakfast, please contact Jordan Vincent at 740-767-4938 or jordan@ruralaction.org.